Booda® Designer Flyers are specially designed to be gentle on your dog’s mouth. 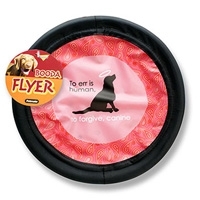 Featuring fun designs and heartfelt dog quotes, the Booda® Designer Flyers are waterproof for high-flying fetch games both in water and on land. Fill with water for a convenient, on-the-spot drinking cup to keep your dog hydrated while playing outdoors. Available in a variety of designs. 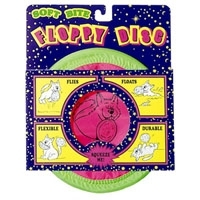 Aspen Pet Soft Bite Floppy Disc 10"
Thanks to the BOODA Soft Bite Floppy Disc, you can say goodbye to your old, hard plastic disks! The BOODA Floppy Disc is the durable fetch toy that flies, floats and is flexible - making it both fun and safe for you dog! 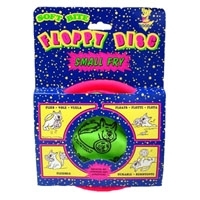 Most importantly, the soft and gentle Floppy Disc is easy on your pets teeth and gums. 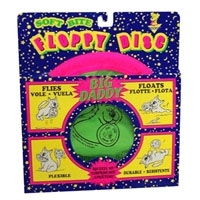 Aspen Pet Soft Bite Floppy Disc 7"
Finally, a perfect toy for large dogs. 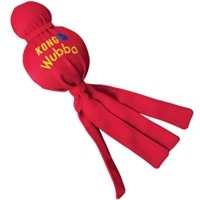 The MEGA Wubba is huge — over two feet long from tip to tail. 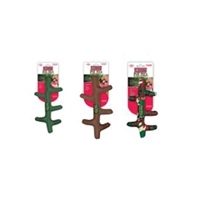 This fun, interactive toss and tug toy is specifically designed for large dogs (or the large at heart). 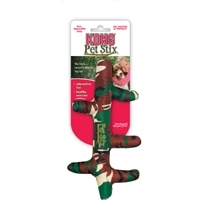 Durable, reinforced nylon covers the toy and the tails make it easy to pick up and throw. 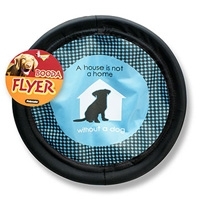 Dogs love to chase the MEGA Wubba and shake the flapping tails back and forth.